There are few left-backs in all of world football that can persuasively claim to rival the creativity and dynamism that Marcelo Vieira currently brings to the Real Madrid first XI. 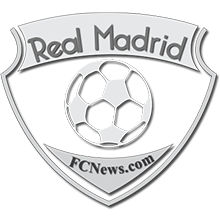 And, for a club too often unfairly derided for failing to give young players a senior team opportunity and drowning their flashes of potential in a sea of big-money superstar signings, Marcelo’s growth and development into one of the finest wing-backs in recent European football history constitutes a shrewd bit of business on Los Merengues’ part, too. Marcelo has won every major trophy that there is to win at Real since joining from Fluminense for a fee reported in the region of €12 million in the winter of 2007. The Rio di Janeiro born defender has so far claimed three La Liga titles at the Bernabeu (2006-‘07; ‘07-‘08; & 2011-’12); two Copa del Reys (2010-’11; 2013-’14); and two Supercopa de Españas (2008; 2012). The Brazilian was also a crucial performer in sealing the much coveted decima for Real in Lisbon in May, 2014. When reflecting on the decima triumph one is likely to think first of the remarkable 17 goal haul that Cristiano Ronaldo notched up en route to the trophy or of the outstanding header that Sergio Ramos crashed into the Atletico net in the 92nd minute of the Final which forced the game into extra time. However, it was a Marcelo strike that decisively killed the match after Bale’s header gave Real a 2-1 lead over their rivals. With the Atletico players seemingly dead on their feet, the fresh impetus and verve that Marcelo still had in his legs after being substituted on for Fábio Coentrão with half an hour of regulation time remaining proved too much to resist as he drove a powerful effort past the outstanding Thibaut Courtois from 25 yards. Marcelo, now 26, has grown into every inch the replacement of Roberto Carlos that Madrid craved since he joined as an unassuming 18 year-old prodigy. Marcelo had made 30 appearances and scored 6 goals in his first full season as a professional in Fluminense before moving to Spain. Once in Madrid, the teenager quickly rose to become a regular fixture in the first XI under Bernd Schuster, displacing the experienced Argentine, Gabriel Heinze, as the preferred option at left-back by the time that he was 20. Marcelo has 198 appearances through his eight years in Madrid to date, netting 15 times. The Brazilian currently vies with the Portuguese star, Coentrão, for the starting berth at left-back and the two players’ contrasting styles counterpoint one another wonderfully. 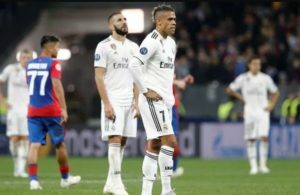 The fact that Marcelo is now commonly seen as a more reliable defensive left-back than Coentrão attests to his intelligence as a footballer, having nuanced his more attacking instincts in recent seasons. In spite of his country’s disappointing home World Cup this summer, the future only looks bright for Brazil and Real Madrid’s foremost left-back.